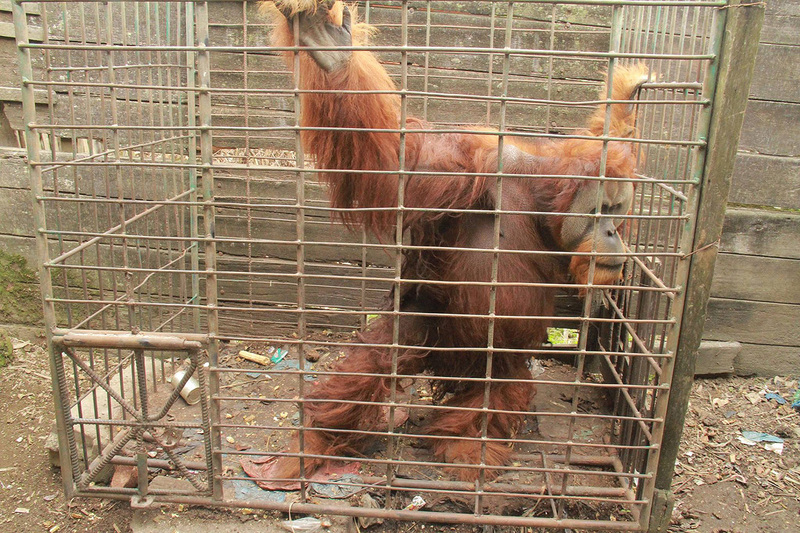 Krismon is being cared for at the SOCP orangutan rescue center in Sumatra. 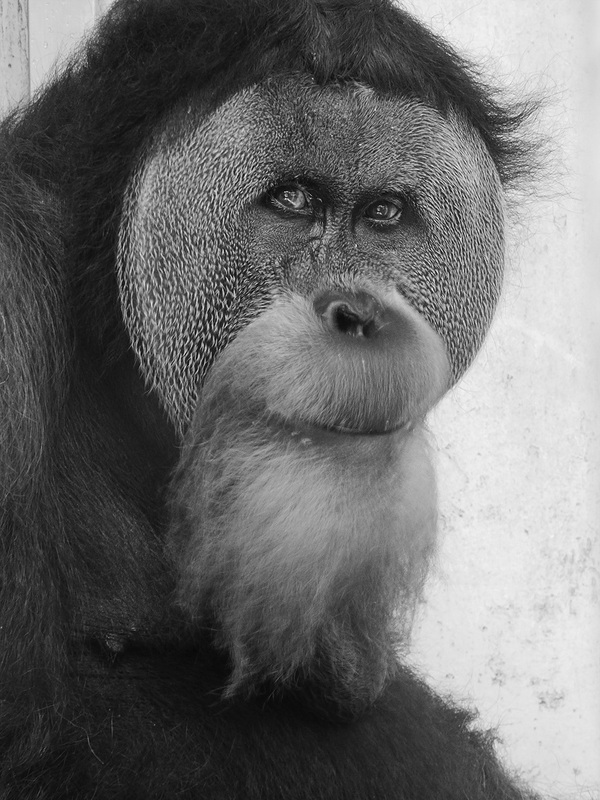 His mother was killed in 1997, and he was kept as a pet by a member of the Indonesian army and his family. When he was an infant, the family treated him as a human child, keeping him in the house and even taking him on family vacations. Once he began to grow, however, they placed him into a small, rusted cage, and fed him on a diet consisting mainly of rice. This is where he remained until his rescue by OIC on May 30, 2016. 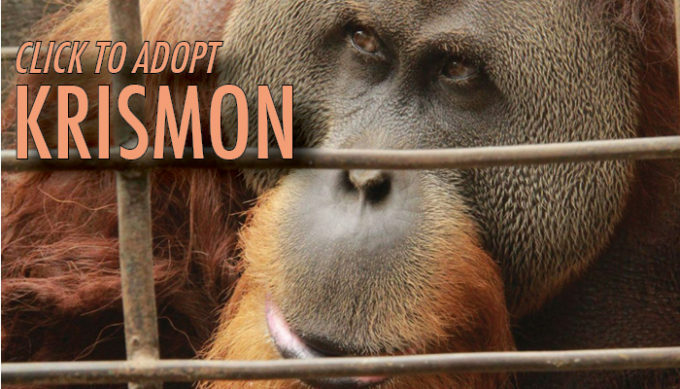 Many people prefer to adopt a relatively 'easy' and cute baby orangutan but we would like you to also consider the more challenging orangutans like Krismon. Please support this handsome adult male cheekpadder. See more photos of Krismon! Read more about Krismon's history in this Mongabay article. YES! I want to adopt Krismon!